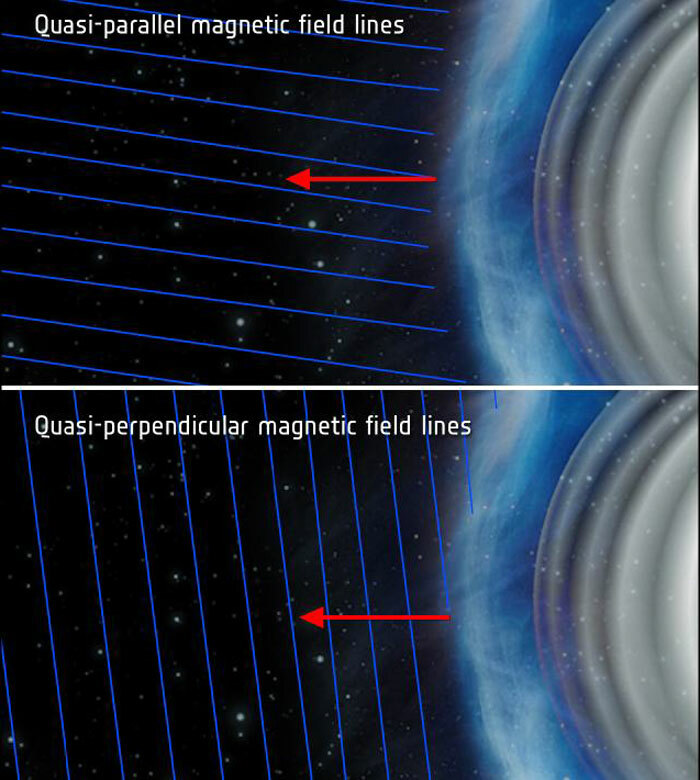 This illustration shows "quasi-parallel" (top) and "quasi-perpendicular" (bottom) magnetic field conditions at a planetary bow shock. 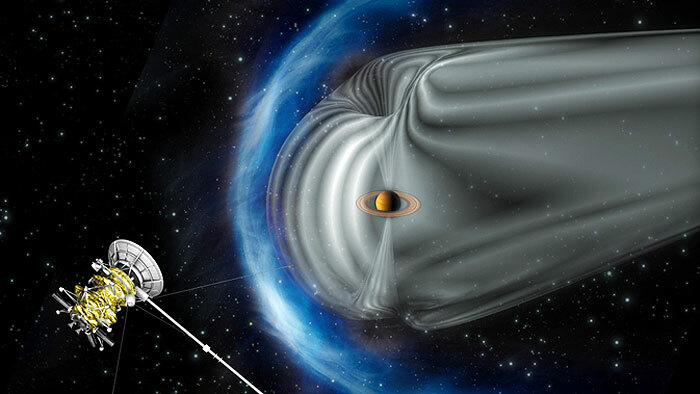 Bow shocks are shockwaves created when the solar wind blows on a planet's magnetic field. Under quasi-parallel conditions, the planet's magnetic field is roughly pointing toward the shock surface, almost parallel to a vector at right angles to the shock front (red arrow). Under quasi-perpendicular conditions, the magnetic field is close to aligned with the shock surface, that is, almost perpendicular to the shock vector.